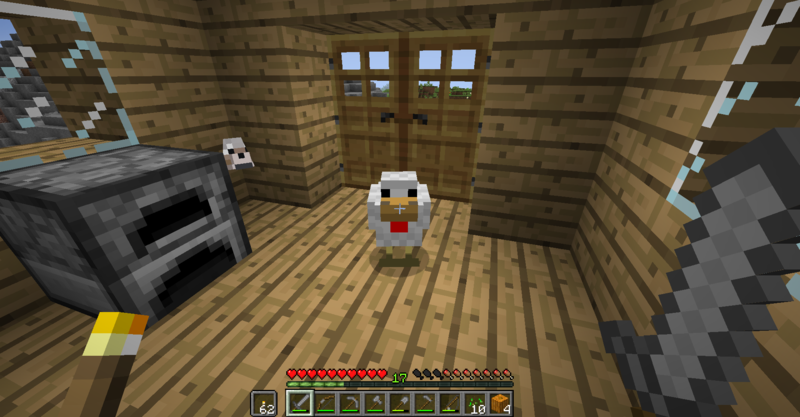 I found and guided a chicken into my house. My wolf seems to be jealous of him, though. My wolf seems to be jealous of him, though. The wolf seems to be outside, with its head pressed into the corner as if it was trying to get inside, like a dog that wasn't allowed in the house might if it was jealous of the chicken who was. The dog is just looking at you.